Shooter Shakil Ahmed brought another silver medal for Bangladesh by placing second in the Men’s 50m pistol event at the 21st Commonwealth Games at Belmont Shooting Centre in Gold Coast, Australia on Wednesday. Shakil scored 220.5 overall, coming in second to Australia’s Daniel Repacholi, who scored a Commonwealth Games record with a score of 227.2. India’s Om Mitharval (201.1) was third. 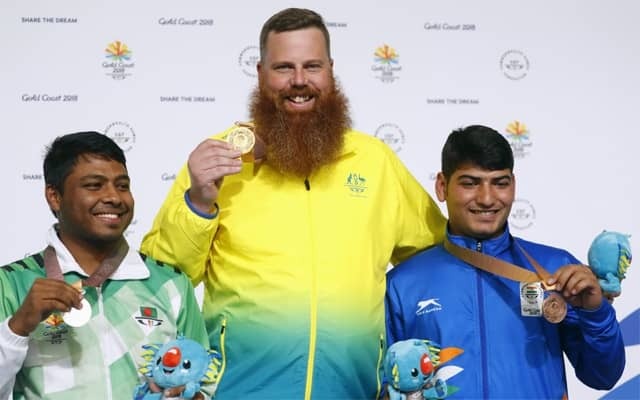 Ahmed’s medal ensured Bangladesh of their largest medal haul since Auckland 1990 when the country, whose eight Commonwealth Games medals have all come in shooting, clinched a gold and bronze. Shakil scored 220.5 overall, coming in second to Australia’s Daniel Repacholi, who scored a Commonwealth Games record with a score of 227.